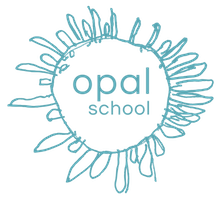 As Director of Professional Development, Matt Karlsen supports Opal School’s mission to strengthen public education through provoking fresh ideas concerning environments where creativity, imagination, and the wonder of learning thrive. For fifteen years prior to joining Opal School and the Center for Learning, Matt worked in a range of range of educational settings, including as a teacher (mostly at the upper-elementary and middle-school levels) and in leading teacher professional development programs. As he developed a relationship with Opal School – as a parent and collaborator – he saw the important role it plays in expanding educators’ vision of “third doors” that adults and children might walk through together to create richer, more just worlds. Since joining the staff in 2012, he has worked to connect the ideas being constructed at Opal School to international audiences hungry for those perspectives.